What started as a easy swim became dangerous! Watch this rescue! This boy is enjoying bodyboarding at the Crooklets Beach in Bude, Cornwall when he was dragged away from the strong rip current. He was so close to drowning. Good thing the RNLI Lifeguard heard him crying for help. He rushed to the beach with his rescue board to help the drowning kid. He was brought back to shore safely and reunited with his family. 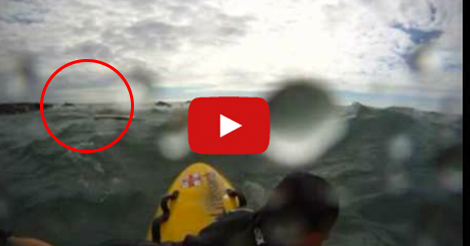 Watch this incredible rescue video for yourself. 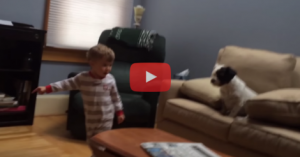 This Toddler Tries To Play Fetch With His Dog, But He Doesn’t Quite Understand The Game. Aww! 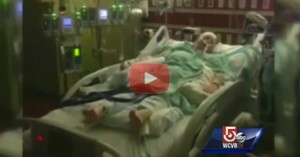 Mother Died While Giving Birth…Medical Miracle?